See what we are doing to make our game worlds work for everyone. Experience our games regardless of disabilities. 3EE is committed to developing games that are accessible to individuals with disabilities by meeting, exceeding, and innovating accessibility in video games. 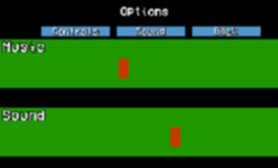 Changing input controls to either use a mouse, keyboard, and/or joystick. We want our players to choose the control setup, scheme, and input. We continue to make efforts to allow games that are normally played only with a mouse to be played with any other type of input such as a keyboard or joystick. We provide captioning to visual and audio experiences and design captions to be readable. We make extra effort to allow our game captioning to be customized by changing the color and background of our in-game captioning. Efforts into developing color blind modes into our games in an on-going process. We are testing new color blind components within our games on a daily basis. We design audio cues in our games to help our players navigate through our worlds. In audio intense worlds, we always provide customizable captioning and visual cues to accompany for the large collection of audio cues. All our games have music and sound effect volume controls. We strongly believe the player should be in control of all the supporting elements around the game. We are always improving our development process to include accessibility features and iterating on those systems to make them better and in turn, make our games playable and available for everyone. We would love to hear any feedback and suggestions that you may have.